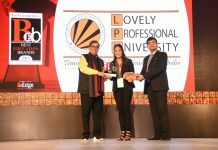 LPU’s Distance Education MBA student Amanpreet Singh continues bringing laurels to his country. He and his team clinched the Gold Medal at the 61st National Shooting Championship at National Games Shooting Range at Thiruvananthapuram, Kerala in 10m Air Pistol. Before this, Amanpreet Singh has also won at ISSF 2017 and Commonwealth Shooting Championship. He has proved his mettle by continuing his winning streak throughout the year. 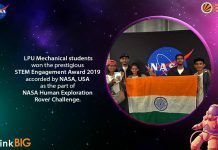 The competition comprised three series of 10 shots for a team followed by four shots in the elimination rounds and finally six shots to decide the gold medal winner. Five pairs Amanpreet-Shweta; Asian junior champion Yashaswini Deswal-Anmol Jain (Haryana); Harveen Sarao-Anchal Grewal; Annu Raj Singh-Deepak Kumar (Air India); and, Vidya Gowda-PN Prakash (Karnataka) had qualified for the finals. Ranked number one in the competition, Amanpreet-Shweta scored 480.7 to bag the gold in this new event; Yashaswini-Anmol won silver with 480.5; while, Harveen-Anchal won bronze with 433.9 scores. 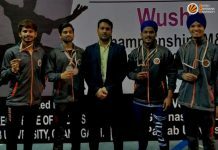 LPU Chancellor Mr Ashok Mittal applauded Amanpreet Singh for this stupendous win and also gave him his best wishes for winning Gold in Tokyo Olympics 2020.